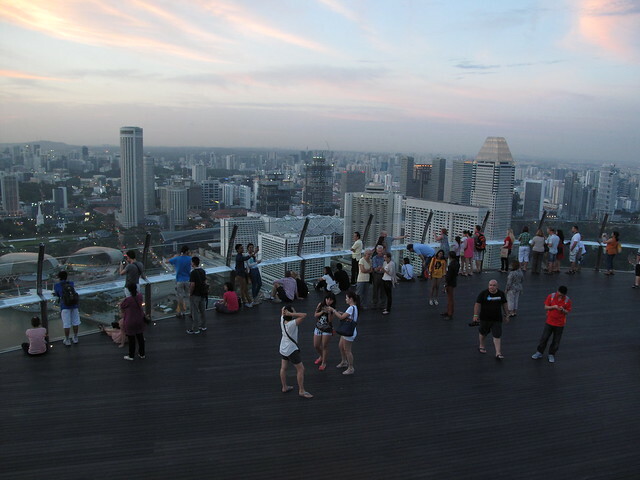 Ahh, Singapore. Returning to a place you’ve already been is severely under-rated: For the first time in 105 days, we stepped off a plane yesterday and knew exactly where to pee, where to go through immigration, how to find the public transportation (where we bypassed 50 people waiting in line to buy passes, because we still had our cards loaded from our last visit), which exit to take at the Tanjong Pagar stop, and which left and right turns to make to get us to our friends’ apartment. After we dropped our bags off, we made our way to a nearby mall, ordered two “duck rices” (that we’d been lusting over on our plane ride in), and stopped by the mall pharmacy to buy two bottles of contact solution (impossible to find anywhere in Vietnam) – all on autopilot! Do you know how good it feels not to think while on a mission to find shelter, food, and supplies? We’re only here for 32 hours this go round; we board a flight tonight to Sydney, Australia. It’s been just enough time to watch a few DVDs, reorganize all of our gear from the past 3 months of traveling, and eat cheap rice dishes (and drink bubble teas) at the nearby hawker centers. We can’t think of a better way to spend Valentine’s Day. Seriously. The last time we were here, we came for 12 days. Most of our time was spent resting and talking and laughing with our dear friends—Chris and George—our gracious hosts, who have been kind enough to open up their modern, sun-light filled apartment to us twice. 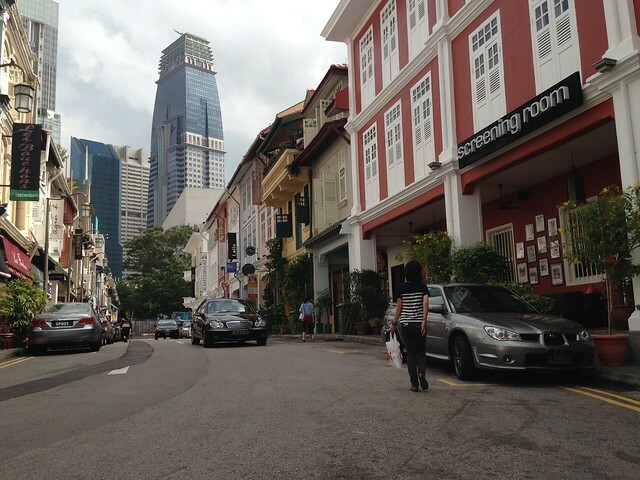 In between sleeping and laundry loads, they gave us daily tours of the city and its varied neighborhoods. Today seemed like a great day to recount those highlights, but only in pictures with captions. We’ve got a flight to catch! 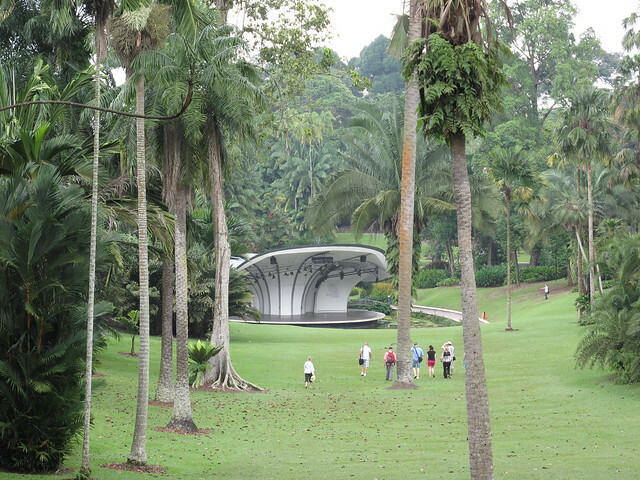 The 180-acre Botanic Garden complex is a pleasant escape from the mostly concrete-covered city. And… it’s free to visit! Well, almost free. 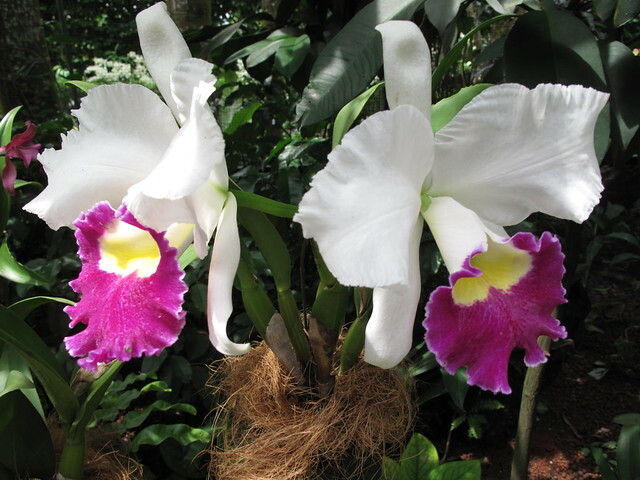 You do have to pay a few bucks if you want to see the National Orchid Garden, but it’s definitely worth it. 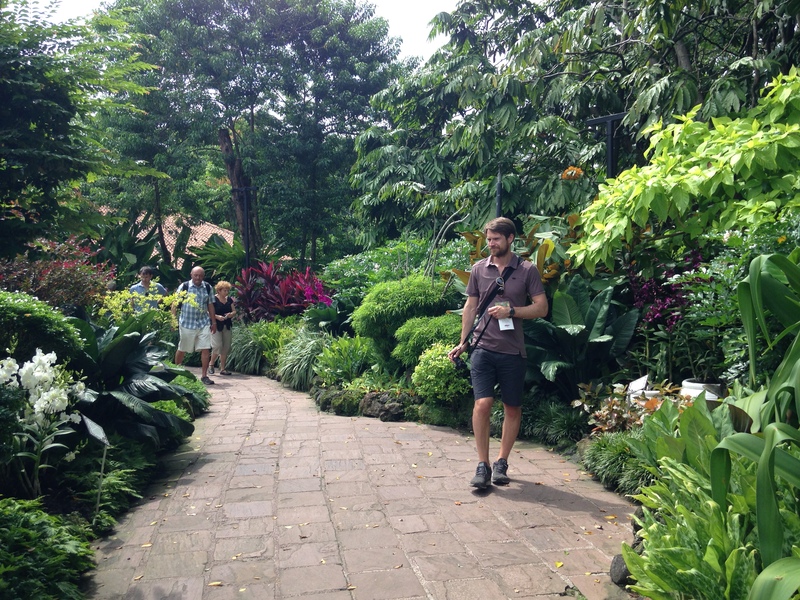 Patten in the lush Botanic Gardens at the height of his beardom. 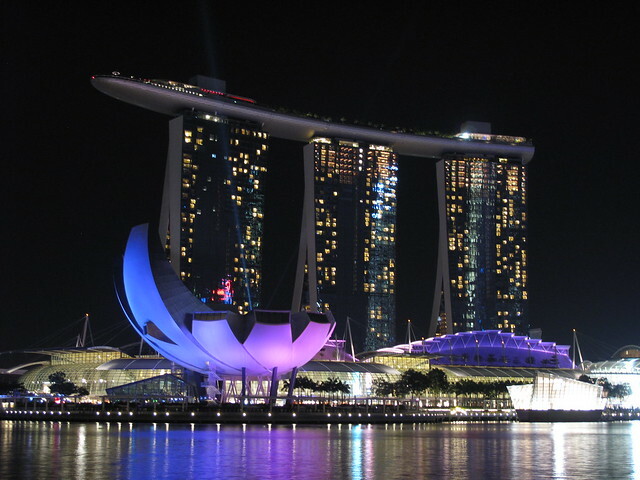 By day, this ship-topped building is pretty darn cool. But at night, it’s amazing! Every night at 8 and 9:30 pm, you can watch the place turn lots of pretty colors. The best part about this hotel/casino though is the VIEW you get from the top. 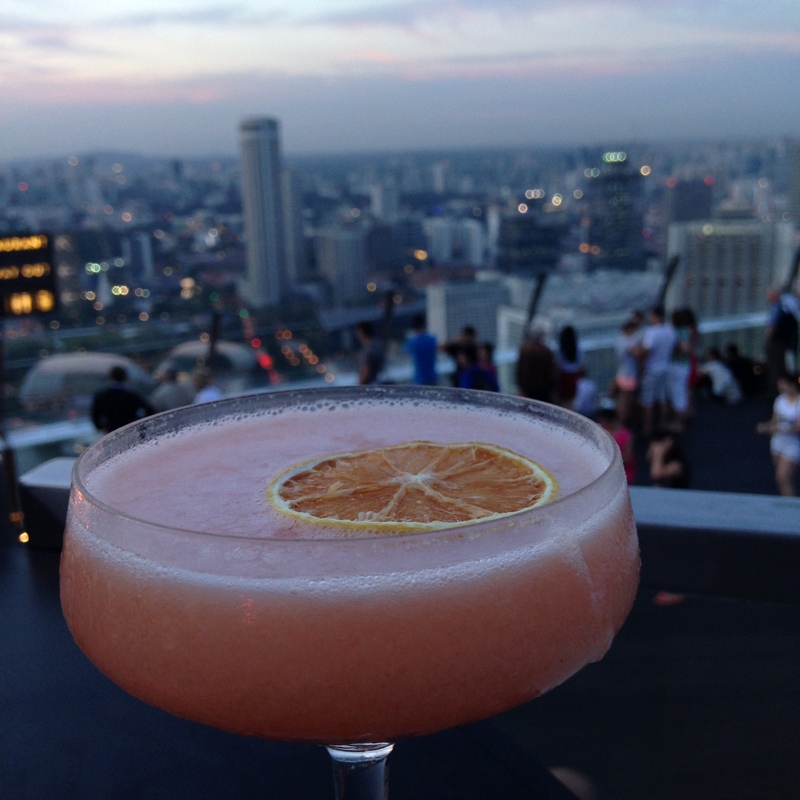 Plus, a fancy cocktail always tastes better with a view. 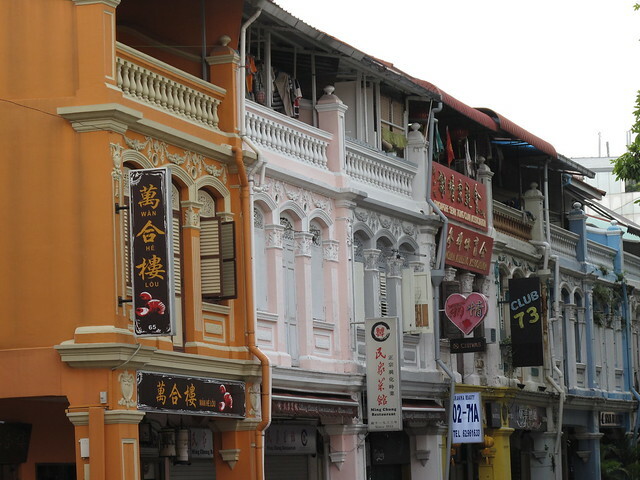 The first Singaporeans were from China, India, Indonesia, and Malaysia. 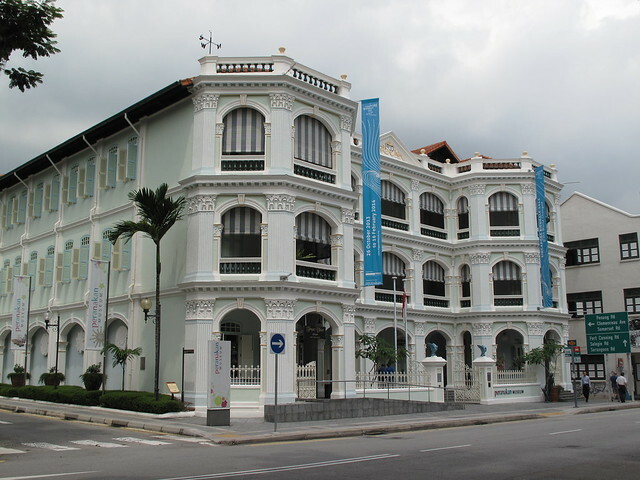 As they intermixed, the Peranakan culture was born. 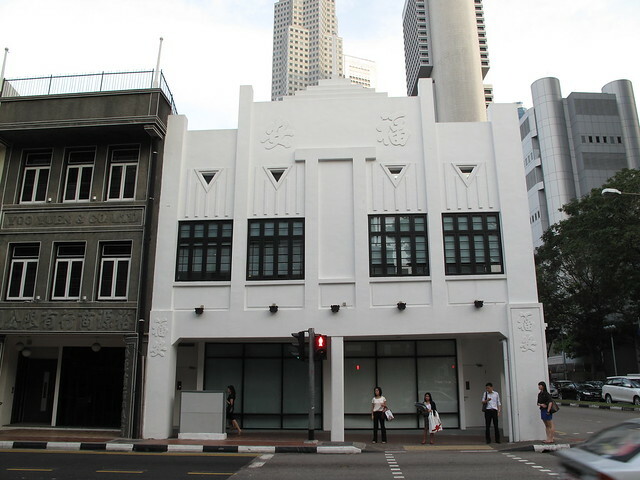 This museum is a must visit, if you want a better sense of the hard-to-grasp Singaporean peeps. 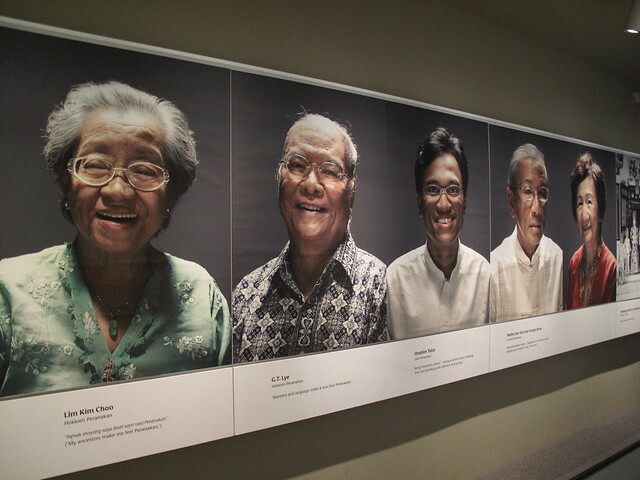 We loved these portraits of today’s Peranakans. The gallery is filled with about 50 or so of these giant images. 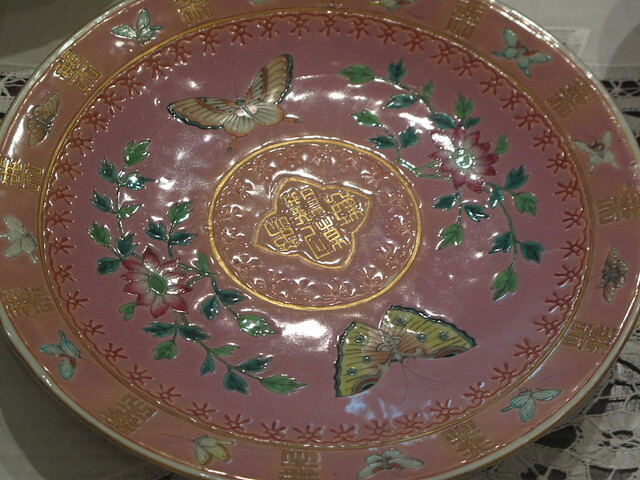 We also loved the china — pink, gold, and teal are the hallmark of Peranakan design. Grandma: These plates make me think of you! 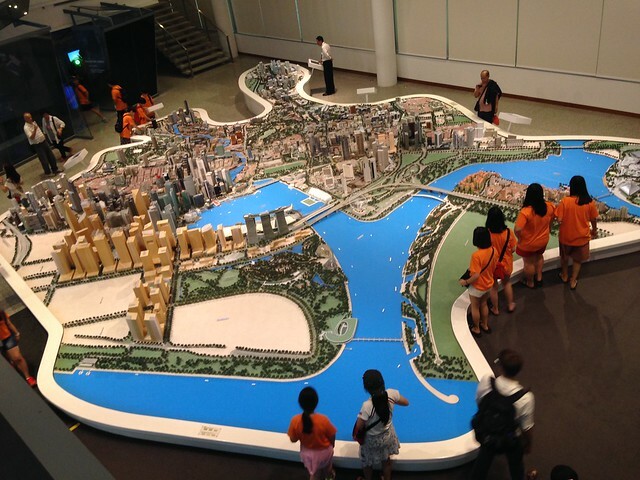 For a better understanding of the city and all of its buildings (plus really cool models), visit the Singapore City Gallery. 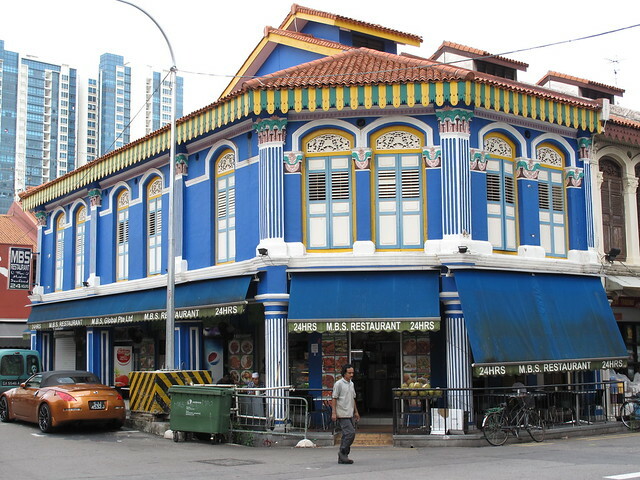 For the best vegetarian Indian food ever, visit Komala Vilas. This place definitely makes our list for Top 5 meals of our ZINK year. 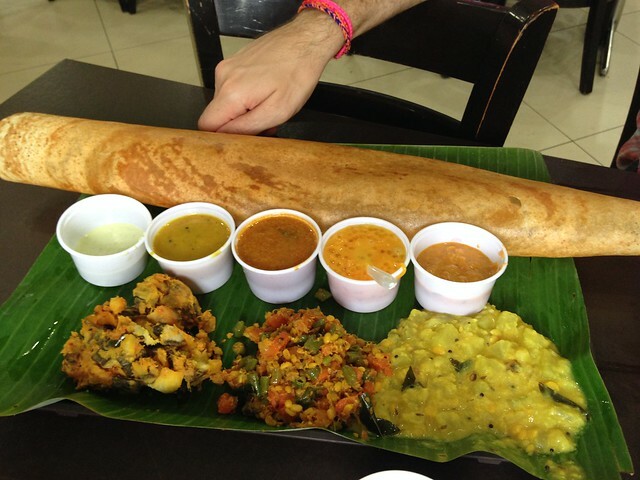 The dosa meal at Komala Vilas… and George’s stylish friendship bracelets. 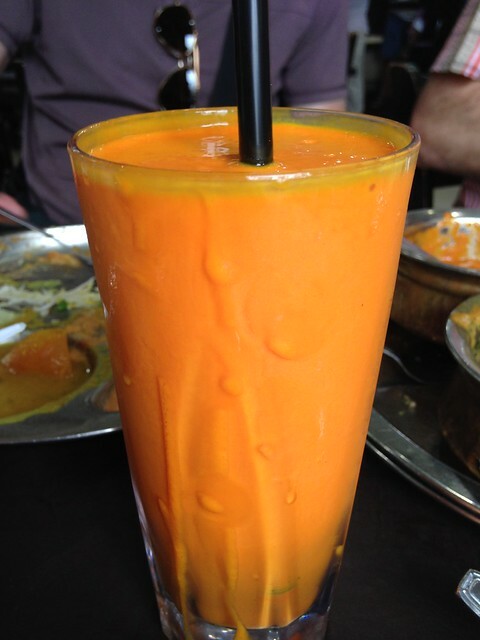 An unbelievably creamy mango shake, not lassi. It must be made with full-fat ice cream. 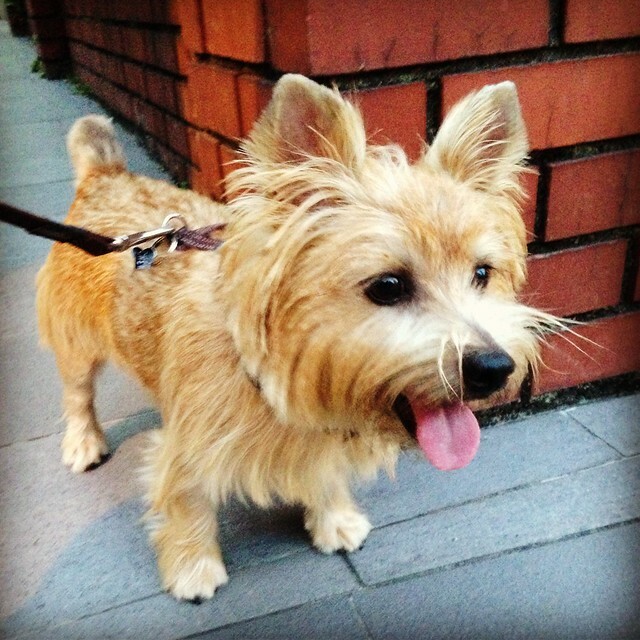 There is no cuter pup than this little fellow, and the ONLY place you can find him is in Sing. « Should you visit Vietnam during Tet? Yes! You should go to VivoCity!! 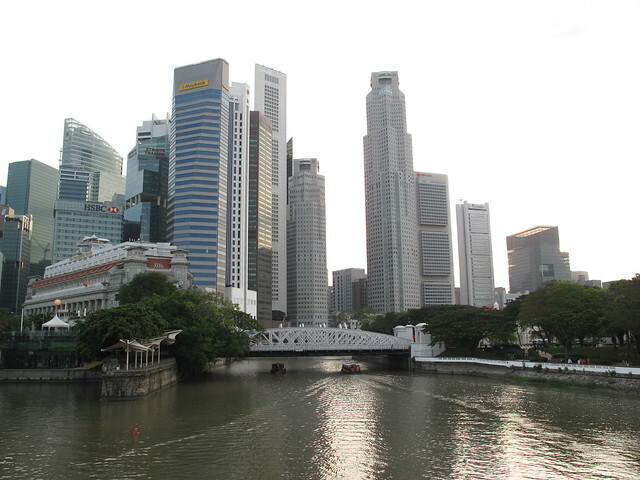 Shopping Center in front of Sentosa Island. Its owned and managed by Mapletree, which i work!! 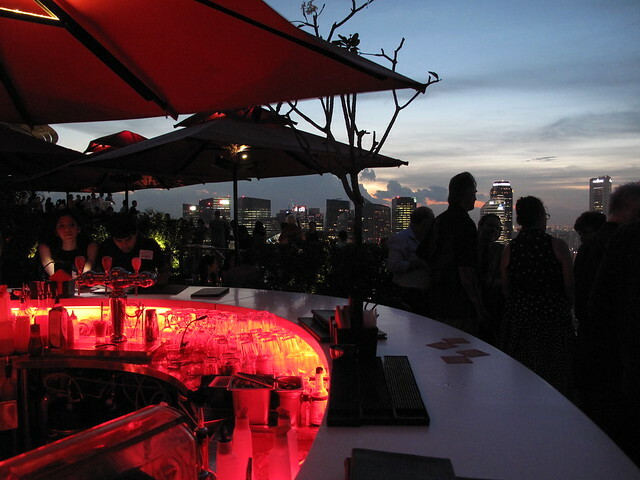 You will see many logs of Mapletree in Singapore!! Yohei — The apartment we’re staying in is owned by Mapletree. Such a small world. We didn’t make it Vivocity this time, but we did the last time we were here. 🙂 I hope you’re well. 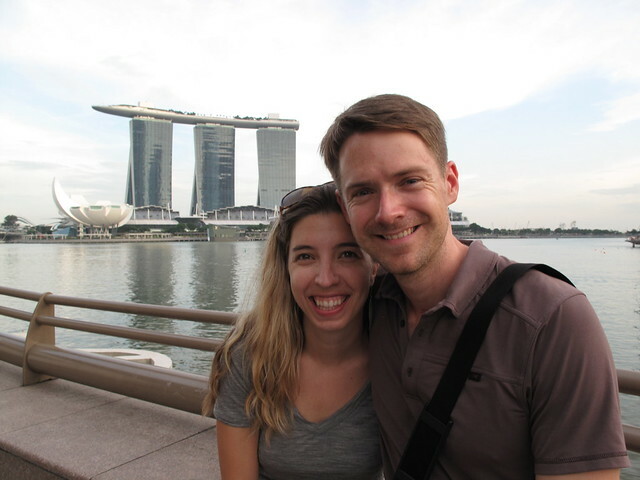 This is the travel blog of Emily King and Patten Wood, a thirtysomething married couple that decided to quit their jobs, pack up their basement apartment in Washington, DC, and set out on a ZINK Year: their "Zero Income, No Kids" round-the-world trip. Want to follow along? Enter your email address to get new posts by email. 2 teeth and big smiles at 7 months! Dairy-free perfection at @bluebottle. Oat milk latte. Vivian hangin’ with new friends! Vivian meets her Wood family cousins in Mississippi! First stop after landing in Nola: seafood gumbo. Magic! First day back in the office and found these homemade apple cider 🍩s on my desk. I’m the luckiest!!! Thank you, @kathleenmhayes !!! !